A common myth about air travel is that if one person is sick on an airplane, all other passengers will get sick because they're breathing the same air, but thanks to air quality control onboard commercial airlines, this simply isn't true. If you're planning to fly domestically or abroad, there are a few things you might want to know about the air quality you can expect during your flight. Airlines carriers are quick to say that the air you're breathing inflight is recirculated and filtered regularly, which means you're not being exposed to things like bacteria and viruses through the recycled air. In fact, because of the high-efficiency filters on most commercial airlines and the frequency the air is recirculated and filtered, the air you're breathing on your flight is likely much cleaner and less contaminated than most office buildings and is on par with the air in most hospitals. Most aircraft have strong filter systems. With the exception of some smaller or much older aircraft, airplanes are equipped with True High-Efficiency Particle Filters (True HEPA) or High-Efficiency Particle Filters (HEPA). These filtration systems then filter and recirculate the air from the cabin and mix it with fresh air. The dirtier a HEPA filter gets, the more efficient it becomes, so it can easily handle the passenger load on a Boeing 747. Air recirculation happens pretty quickly. The HEPA filtration system can make a complete air change approximately 15 to 30 times per hour, or once every two to four minutes. According to IATA, the International Air Transport Association, "HEPA filters are effective at capturing greater than 99 percent of the airborne microbes in the filtered air. Filtered, recirculated air provides higher cabin humidity levels and lower particulate levels than 100 percent outside air systems." HEPA filters catch most airborne particles, meaning their capture standard is pretty high in term of commercial spaces. A HEPA filter's complete air change is better than most other forms of transportation and office buildings and similar to the standard for hospitals. The ratio of fresh to recycled air in a plane is 50-50 percent, and two things happen with recirculated air: Some air is dumped overboard while the remainder is pumped through HEPA air filters, which remove more than 99 percent of all contaminants, including bacteriologic agents. Your risk of catching something airborne on a plane is lower than in many other confined spaces because of the filters and air exchange ratio. Even though it may not seem to be the case, especially since cabin pressure can make a simple instance of the sniffles feel like the full-blown flu, the air you're breathing is much fresher than other spaces. This is especially true because ventilation systems on planes are set up in zones that cover between seven and eight rows. 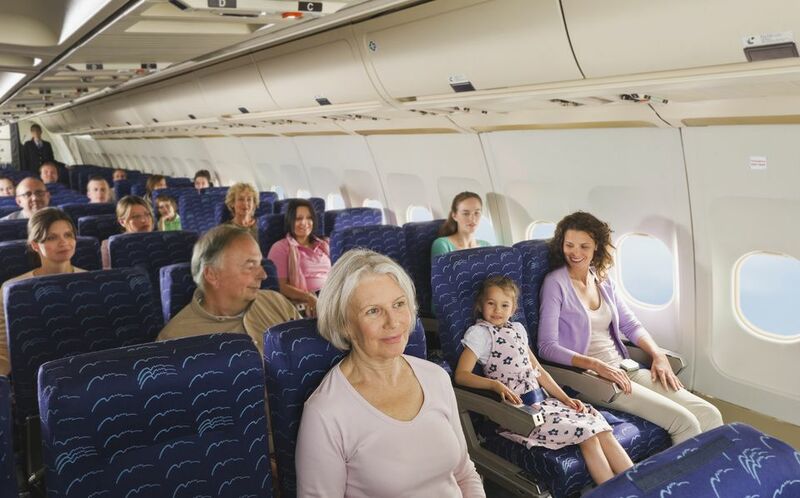 Additionally, the oxygen percentage in a 50/50 cabin on a modern commercial aircraft at maximum load capacity will not drop below 20 percent, so you can breathe easy on your next trip through the skies. So people do find themselves coughing and sneezing more after a flight even if the air is cleaned. The culprit is dryness because the typical aircraft cabin is exceptionally dry, probably drier than the air in the desert. This is because, at the altitude most aircraft fly, the moisture content is extremely low. With dried out sinuses and nasal passages, it's actually easier to catch something passed along from another passenger. Air rage is on the rise, but the airlines are fighting back.